It's indisputable: across society, established attitudes and structures have created inequalities between the sexes. This is especially true when it comes to the workplace, where women have long endured lower average pay and fewer opportunities for promotion. Employers are looking to create fairer, more equitable environments for their workers. Having staff who understand issues around gender discrimination and bias is vital to promoting a more harmonious workplace - one that makes the most of every employee's potential. This credential lays out the barriers faced by women in the workplace, along with the subtle social biases that contribute to gender inequality. 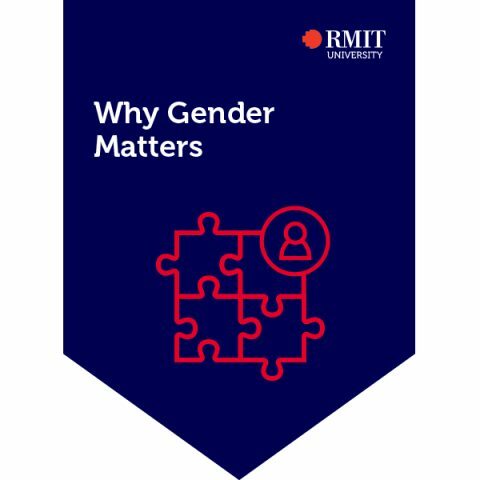 You'll learn how your gender influences your experience of the world, how to identify unconscious gender bias in yourself, and how to spot discrimination built in to workplace practices - so you can be part of helping to create a more inclusive workplace. This credential was developed in partnership with Women's Health Victoria. Recognise that gender can impact your views and experiences of the world. Recognise how gender inequality persists within our workplaces and community. Contribute to building more respectful and equitable workplaces and communities.